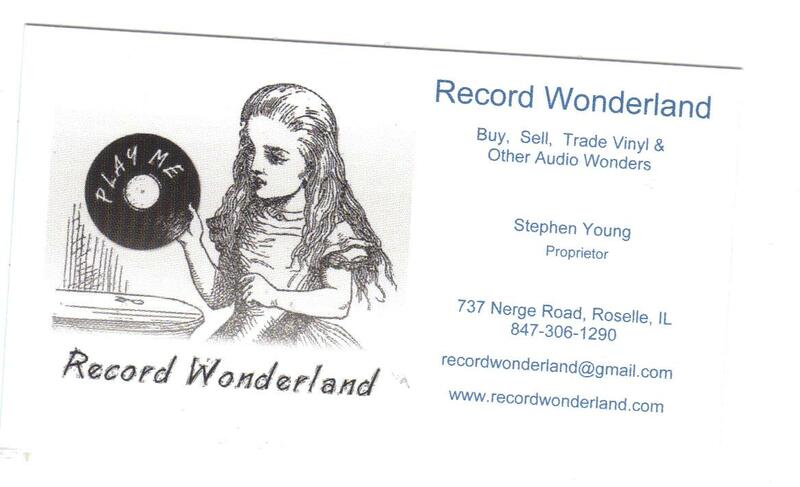 I don't celebrate Record Store Day as perhaps people feel I should, given my work on this blog. But I also don't celebrate record stores, an opinion I unabashedly hold, I much prefer the grime and total gamble of thrift stores and garage sales. But when I found that a new record store had opened not 1/8th mile from my parent's house (where I was dogsitting/housesitting for a few days) - and when I realized it was Record Store Day (yes, I had no idea), I couldn't say no to that. 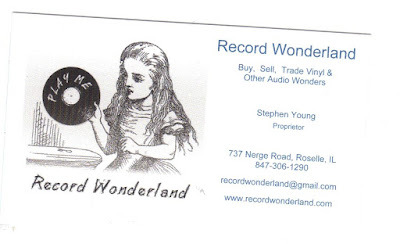 Record Wonderland is at the end of a pretty crappy strip mall that contains an array of crappy stores, besides a pizza place I went to once (and it was good) which no longer is a resident. This must be a new store as they only have a couple Google reviews. The store was filled moderately or more and the RSD crowd was evident. As usual, I had no idea where to start and had a 'record store blackout', as the well organized bins forced me to remember what I wanted/needed, lest I search the entire place. I fooled around for a bit in a couple boxes of picture sleeve 45s and found nothing except a feeling of awkwardness as I stumbled around the place. Then I decided to just dig through the entire jazz section as it was totally neglected and is a place I feel relatively at home. I still have a couple CTI 3000 series vinyls I need and thought maybe I could find one. I did come across a $20 copy of the other Paul Desmond LP I still need but even with the 20% RSD discount the store was offering, it was too rich for my blood ($20) - I know I can get it for half that (though this one did appear to be time-capsule style mint condition). I came across a Cal Tjader album that looked good and I found a couple Bob James albums but none I needed. I found a reissue of a Verve classic with what I thought was a novelty fake OBI strip that I couldn't bring myself to pay for even though the price was fair. Later found out while it was a reissue, it was legitimately Japaense. Still, I'd rather wait on my own beat up US copy. I could not believe the price on this one - it did not look like a reissue at first glance. If this wasn't so 'ugly' (I couldn't bring myself to view the horror first hand), it would be worth 10x their price). Too good to be true, as always. I glanced at the country section and was getting ready to just grab the Desmond LP when as a last ditch I figured I'd check for Joni Mitchell's live album that I've been looking for for so long. I've never actually seen a copy in person. Well I found one...it's MINT, and its a promo! It was only $25 which comes down to $20 with the discount. This is beyond a deal! At the counter I glanced at a $50 presumably first press of Kill 'Em All and a copy of Ride The Lightning autographed by the whole band including Cliff for $250. I did ask them to unlock the case so I can check out a weird RATM 7" then I had a very pleasant chat with the clerk about the record. He told me that he personally brought it into the store, and that it was his uncle's record! He also told me (I did not know this) that it qualifies as an audiophile example to test your hi-fi with (I was aware of this rep for even my non-mono version of Casino Royale which I inherited from my Aunt Betty [RIP] so long ago). I heard at least two people qualify for the shirt just in the short time I was in the store. RSD mania overtakes even the level headed! (or maybe just novelty fans).